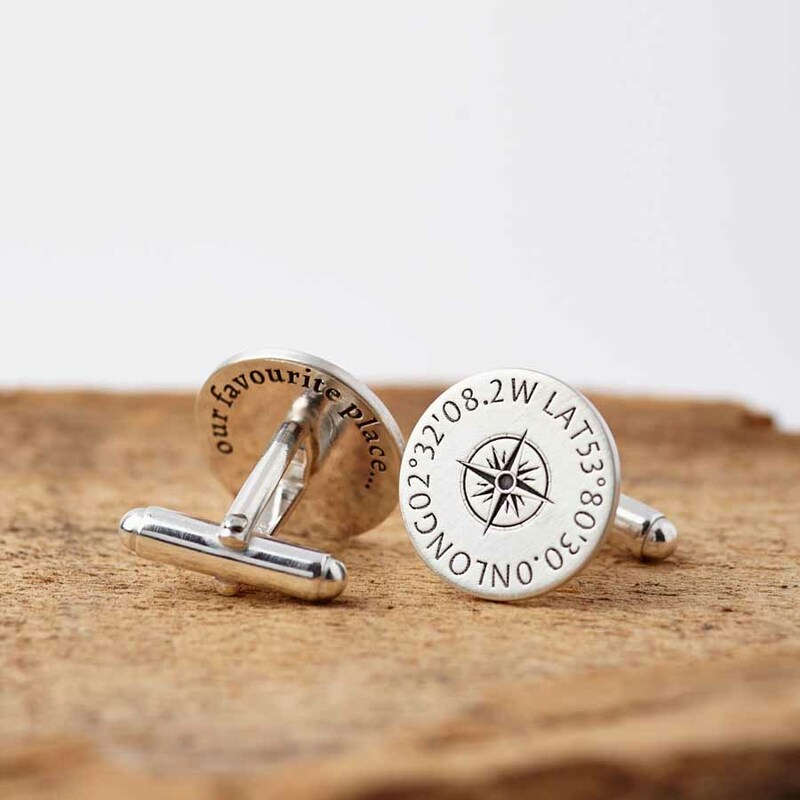 Handmade in our studio from sterling silver, these stunning cufflinks are engraved with the coordinates of your special chosen location (or locations) with a central compass design. 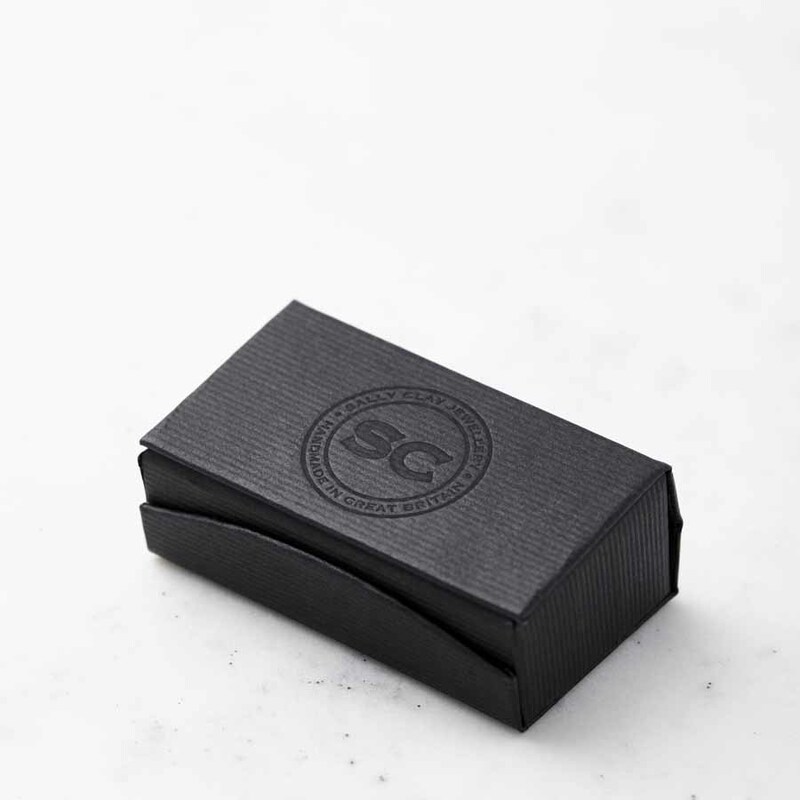 A hidden message can also be engraved on the reverse of the cufflinks, a secret message between you and the wearer. This could be a message from you to them or perhaps a special date. Each cufflink can be engraved with the same coordiantes, or different coordinates can be engraved on each cufflink. 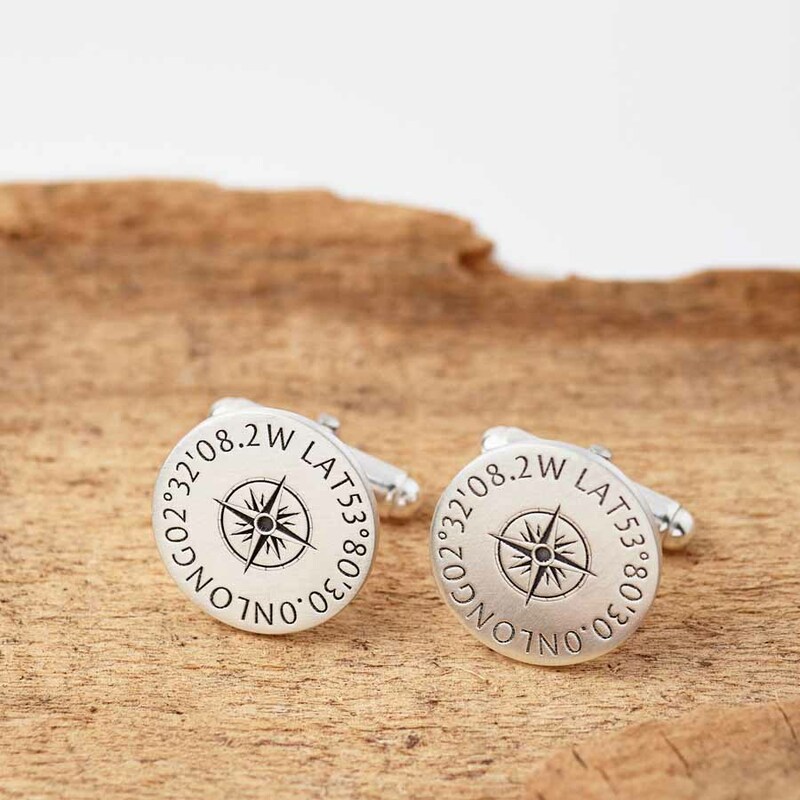 Please note: we may ask you to check the coordinates before we start making the cufflinks: please respond as soon as possible to prevent a delay in the dispatch of your order. 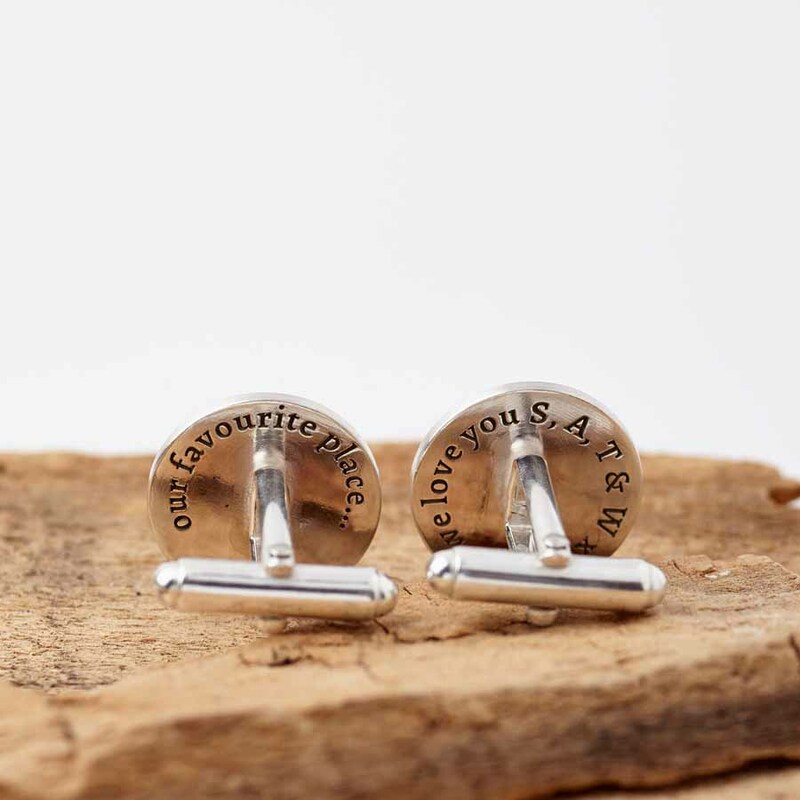 These cufflinks make the perfect gift, perhaps for your groom, complete with the coordinates of where you met and where you’re getting married; or for your new husband on your first Christmas together. They also make a great anniversary gift, perhaps with the coordinates of where you first met, your home, or your favourite getaway location. You can also present them as a wonderful Father’s Day gift, with the location of where your children were born and your home, or a great valentines day gift!